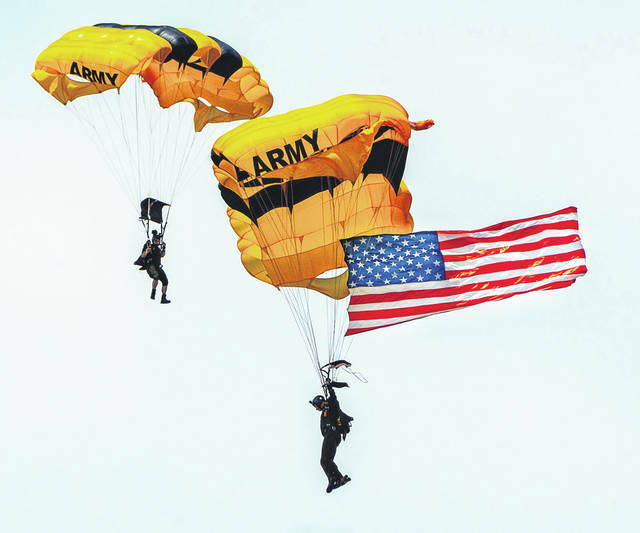 Don Tate | Greene County News The US Army Golden Knights dropped into the 2018 Vectren Dayton Air Show June 23-24. This was one of the many featured events at the Air Show. US Navy Blue Angels F-18 generators made by GE Aviation returned to the 2018 Dayton Air Show. 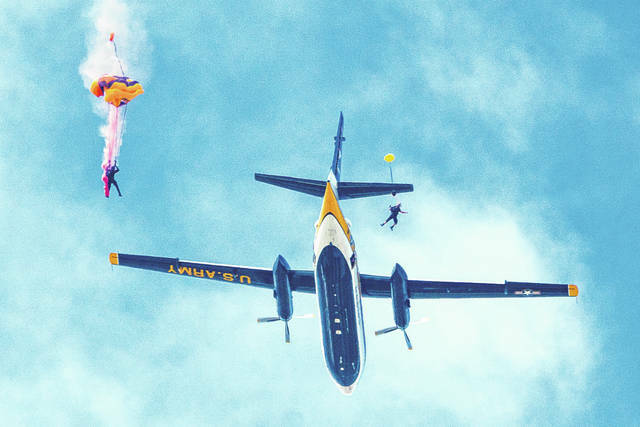 The US Army Golden Knights dropped into the 2018 Vectren Dayton Air Show June 23-24. This was one of the many featured events at the Air Show. https://www.beavercreeknewscurrent.com/wp-content/uploads/sites/49/2018/06/web1_AirShow00.jpgDon Tate | Greene County News The US Army Golden Knights dropped into the 2018 Vectren Dayton Air Show June 23-24. This was one of the many featured events at the Air Show. https://www.beavercreeknewscurrent.com/wp-content/uploads/sites/49/2018/06/web1_AirShow01.jpgDon Tate | Greene County News The US Army Golden Knights dropped into the 2018 Vectren Dayton Air Show June 23-24. This was one of the many featured events at the Air Show. https://www.beavercreeknewscurrent.com/wp-content/uploads/sites/49/2018/06/web1_AirShow04.jpgUS Navy Blue Angels F-18 generators made by GE Aviation returned to the 2018 Dayton Air Show. 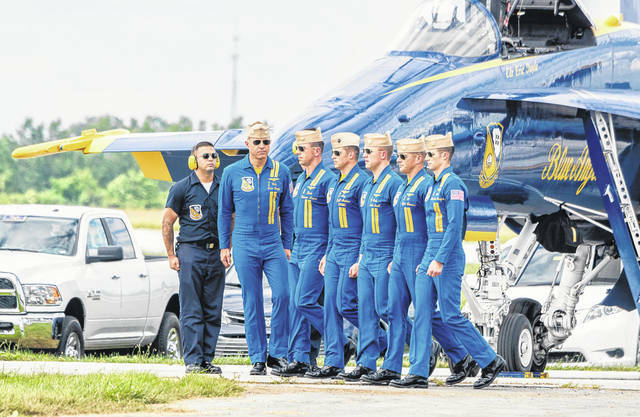 https://www.beavercreeknewscurrent.com/wp-content/uploads/sites/49/2018/06/web1_AirShow07.jpgUS Navy Blue Angels F-18 generators made by GE Aviation returned to the 2018 Dayton Air Show.